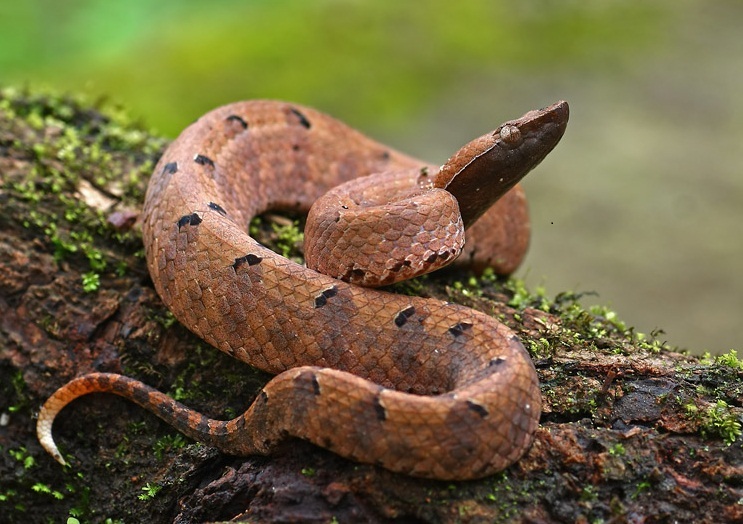 “…..Morbidities attributable to snakebite are still high, and 44% of snakebite-associated mortalities are because of capillary leak syndrome characterized by swelling, hypotension, and hemoconcentration; and renal failure due to Russell ‘s viper poisoning. Snakebite envenoming is a frequently overlooked cause of mortality and morbidity. Snakebites are responsible for 81 000–138 000 deaths annually. Contact from venomous snakes, spiders, and scorpions contribute to 1·2 million years of life lived with disability annually. Kumar KS, Narayanan S, Udayabhaskaran V, Thulaseedharan NK. No antidote available for its deadly venom. A major killer endemic to the Western Ghats, a mountain range of South India, and Sri Lanka. The standard polyvalent antivenom used for the four most poisonous snakes of the region — the Indian cobra (Naja naja), Indian krait (Bangarus caeruleus), Russell’s viper (Daboia russelii) and saw-scaled viper (Echis carinatus) — does not work on hump-nosed pit viper venom. Black mamba: One of the most feared snake species of the African savanna. “……Dr. Shea’s lab is creating hydrogel nanoparticles coated with polymers — the building blocks of plastics — small enough to attach to proteins. While screening them against common venoms, he isolated some nanoparticles that bind with and neutralize two poisons produced by snakes like cobras, kraits, coral snakes, sea snakes and mambas.